host a weekly radio show on SiriusXM 111, Business Radio Powered by Wharton, called Work and Life. We publish edited versions of my conversations as free podcasts. I invite you to listen to the episode (embedded below) that is my conversation with Gretchen Rubin, best-selling author of several books on human nature. Her first bestsellers — The Happiness Project and Happier at Home — both sparked powerful conversations about the human search for happiness. Her bestseller Better Than Before explored how we can change our habits and create lasting change. Her latest is The Four Tendencies: The Indispensable Personality Profiles That Reveal How to Make Your Life Better (and Other People’s Lives Better, Too). A member of Oprah’s SuperSoul 100, Gretchen has an enormous following, in print and online; on her popular daily blog, gretchenrubin.com, she reports on her adventures in pursuit of habits and happiness. 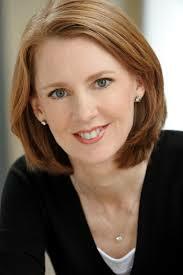 She also has a highly ranked, award-winning podcast, Happier with Gretchen Rubin. Rubin started her career in law, and was clerking for Justice Sandra Day O’Connor when she realized she wanted to be a writer. We discuss how to use her very practical personality framework, how people respond to inner and outer expectations, and the importance of self-reflection in coming to know yourself. They explore the four types: Upholder (both Gretchen and Stew), Questioner, Obliger, and Rebel. They get into specific ways to change habits and interactions with others in your family, at work, and in other relationships so you can be your best self and help others to thrive as well. The goal is ever-deepening self-knowledge and acceptance of how others are different from you in the ways they see the world and respond to expectations.